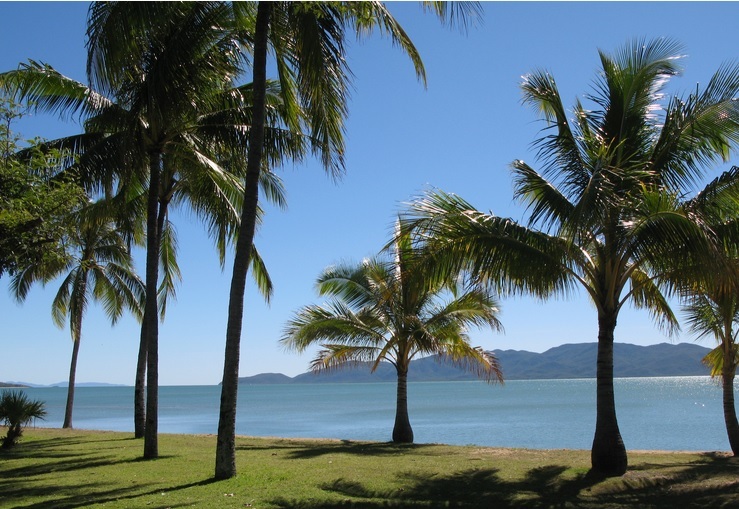 BIG4 Rowes Bay Beachfront Holiday has got to have the best location in Townsville! Right on the beach with picturesque views to Magnetic Island - does it get any better than that!? Also, being not far from the city centre and the popular Strand, this is the perfect spot to base yourselves in this part of the Australia. Especially as they recognised the opportunity to become TAWKer Supporters and contacted us! There is a lot to do in the area and the park staff love to help you out. Whether it's a sky dive, a snorkel dive, a trip to the museum or a walk around the botanical gardens, the team at the park can let you know what you can do in the area and can even book some things for you. There's a range of grassed sites or slabs and they cater for those of you with just tents, caravans, big rigs and even the fifth wheelers. The sites are surrounded by tropical shade and close to one of three amenity blocks. AND then there's the pool..... sometimes it's just nice to be in the pool, I know my kids always wanted us to stay at a park with a pool. When all the sightseeing is done a couple of hours in the pool can just be the thing to round off a great day. "Stayed here during a trip up the east coast. We arrived late but had phoned ahead and nothing was a problem. The owners even told us where to go in the morning and what to see. The facilities and amenities were excellent and very clean. Would highly recommend staying here." The park also has it's own outdoor theatre - which operates at certain time of the year (check with the park). Also during the school holidays the park has organised activities for the kids; face painting, craft activities, plaster painting etc... - again check with them for finer details. "Highly recommend. Service was outstanding, very friendly and helpful. Easy check in, and a good store to buy many options. Park is in a great location close to everything i.e. Strand, CBD, and best of all right on a great beach. Clean, tidy and safe with all the amenities, nice pool, spacious for kids to run around and play...."
It's time to head to their website and support BIG4 Rowes Bay Beachfront Holiday Park AND best of all, because they are TAWKer Supporters, the kids get to camp two nights free! * When you contact them, tell them you are a TAWK Member (Make sure you grab your TAWK Membership Card to show them) . So put it on the must visit list and support them supporting you. 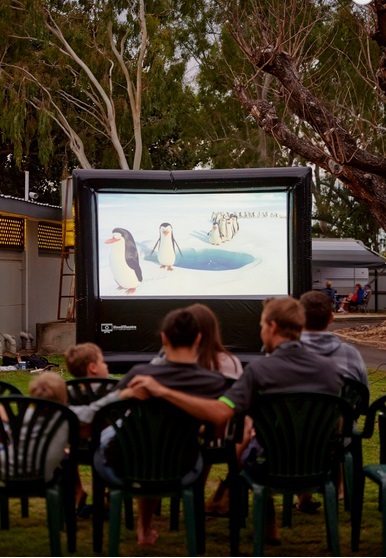 Thank You BIG4 Rowes Bay Beachfront Holiday Park for being a TAWKer Supporter! *Offer not available in their Peak Season which is generally June - September or in conjunction with other offers. Please check with park for further details. 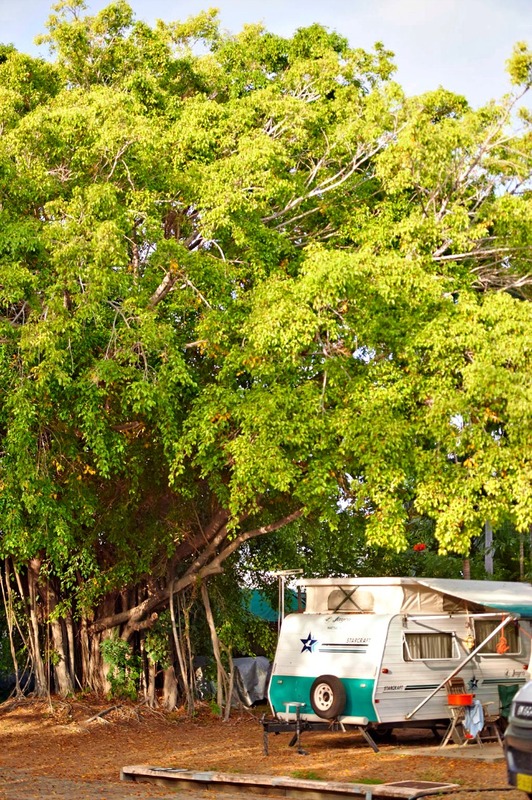 Check out other Caravan Parks supporting TAWKing here.